South Cliff Inn Bed and Breakfast is an English Country Style Bed and Breakfast. 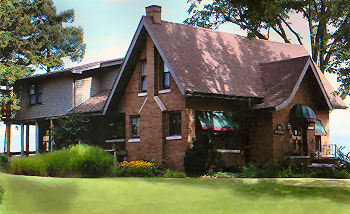 The exterior of the Inn is English Cottage Style with decks and perennial gardens overlooking Lake Michigan. The sunsets are beyond compare! The interior of the Inn is English Country Style with many beautiful antiques, imported fabrics and custom designed furnishings, Each of the seven guest rooms are individually decorated and several of the rooms even have balconies that overlook Lake Michigan. All of the guest rooms have their own private bathroom, some with whirlpool tubs. The atmosphere of the Inn is one of warmth and friendliness. The Homemade breakfasts are created by the retired chef/owner and are an event that you will not want to miss. South Cliff Inn Bed & Breakfast has received the sought after and honored award of READERS CHOICE BEST BED & BREAKFAST IN SOUTHWESTERN MICHIGAN, eight consecutive years. South Cliff Inn was also cited as One of 40 ways to pamper yourself in Chicago Magazine. The Inn is located one mile south of the downtown area of Saint Joseph which has quaint shops, galleries, restaurants and entertainment. 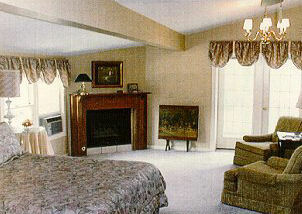 We strive to make your stay at South Cliff Inn Bed & Breakfast a most enjoyable and relaxing experience.